A Traditional English Freehouse situated close to the marketplace in Caistor, in the heart of the Lincolnshire Wolds. 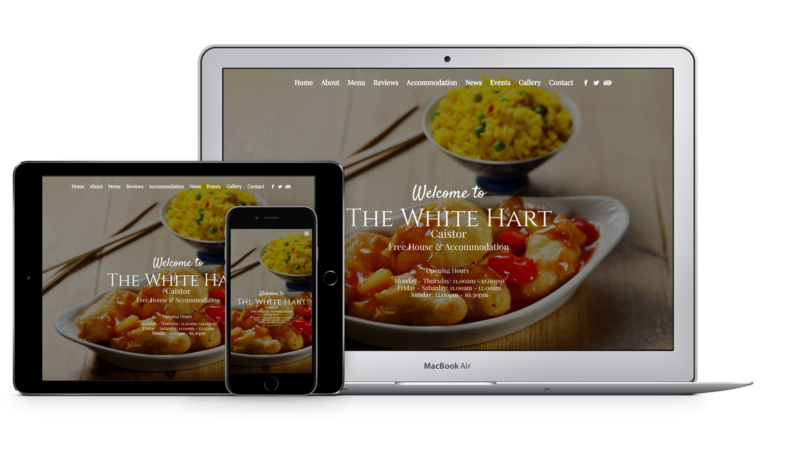 The Creative Agency were approached by The White Hart to design and produce a new website that would work effectively across all platforms and play a vital part in increasing their brand awareness and trade to the general public and businesses. We replaced there current website with a new vibrant up to date site that now proudly sits in the front row of their competitors and shouts class and quality with new photography showing off the home cooked food by the very talented local Chef Rick Saunders as well as the newly furnished accommodation. 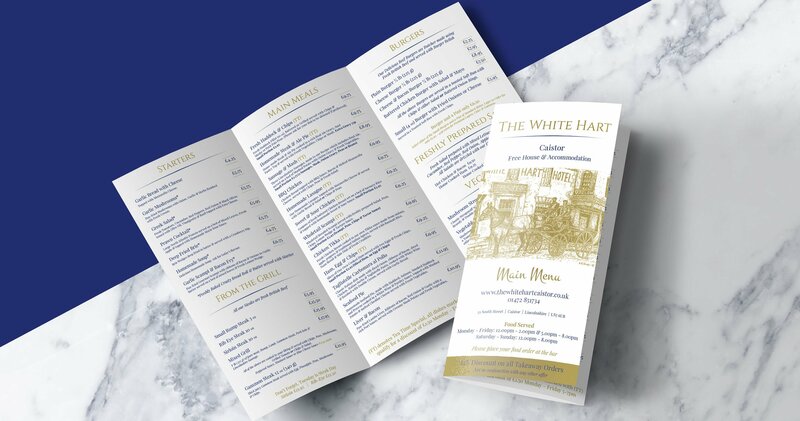 The White Hart also commissioned us to do regular social media marketing on their behalf, creating and posting through social media channels to bring attention to the many events that take place there and to encourage a growth in Facebook followers. “I have pleasure in writing a testimonial as a way of a thank you to you and your team. Since engaging The Creative Agency at the beginning of this year to handle all our social media requirements and to put a new website together for The White Hart, we have never been busier. We are always fully booked in our restaurant and there is a queue forming for booking accommodation with us.